Home 8 Mountain Road, Tubbercurry, Co. Sligo. 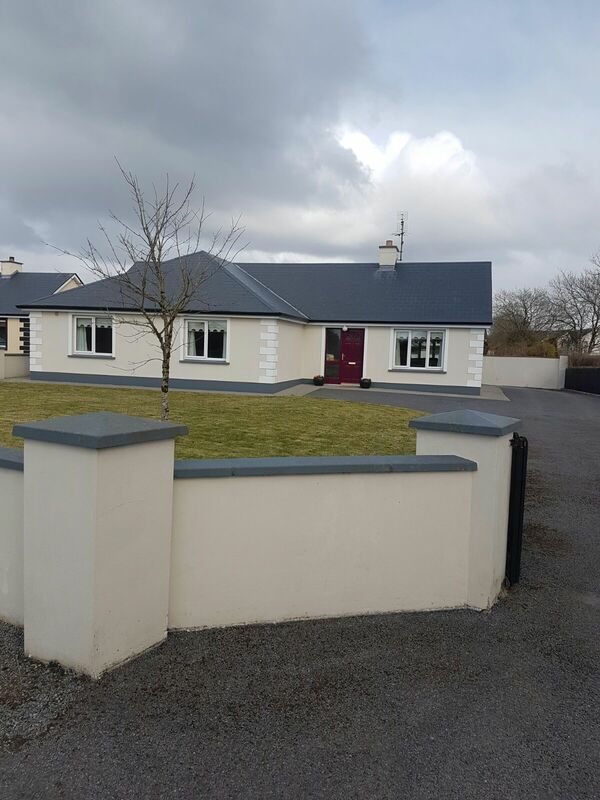 8 Mountain Road, Tubbercurry, Co. Sligo. 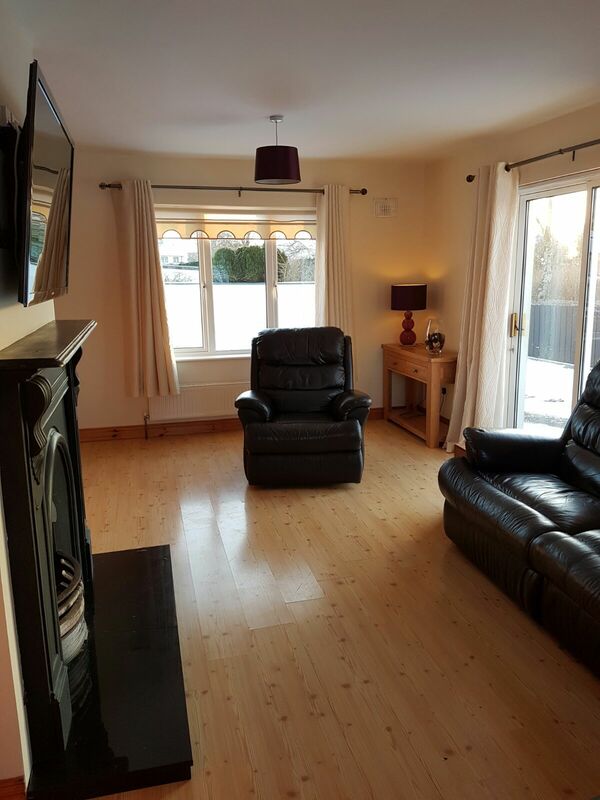 Excellent Detached Bungalow For Sale by Private Treaty. 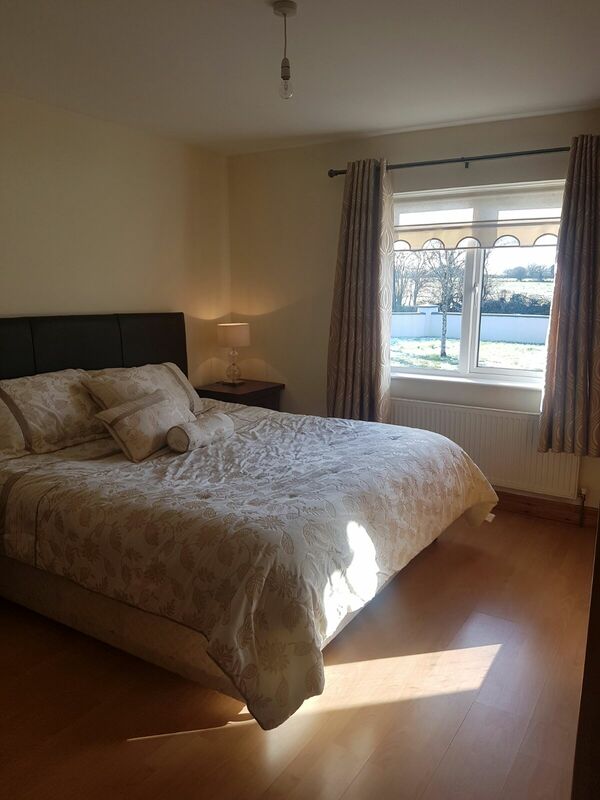 500 Metres from Town Centre. 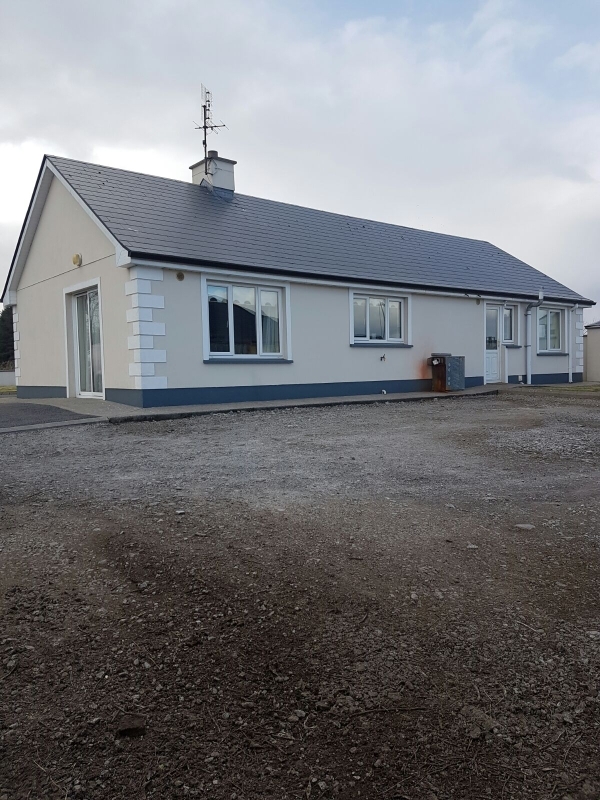 Adjacent to Athletic Grounds, Baileys Nursing Home, Family Resource Centre, and Church. Foot path and Lighting to Town Centre. Sligo: 20 Miles; Knock Airport: 12 Miles. 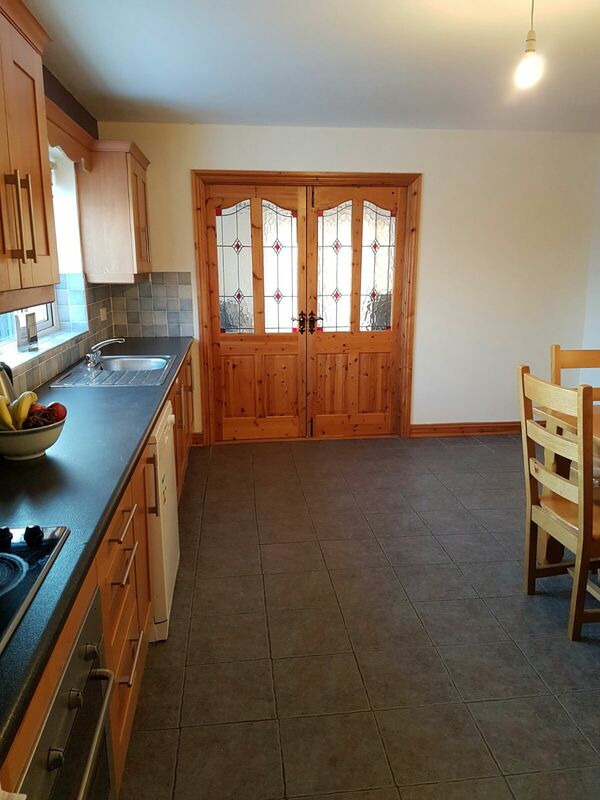 Timber floor, French doors to side; Double doors to Kitchen. Dining Area: Tiled floor and walls. Utility Room: (2.53 m x 1.8 m) Fitted Units; Tiled Floor; Rear exit door. Bedroom 1: (3.97 m x 3.67 m) En suite – Electric Shower, W.C, W.H.B. Fully Tiled. Built in Wardrobe, Timber floor. Bedroom 2: (3.98 m x 3.98 m) Timber floor. 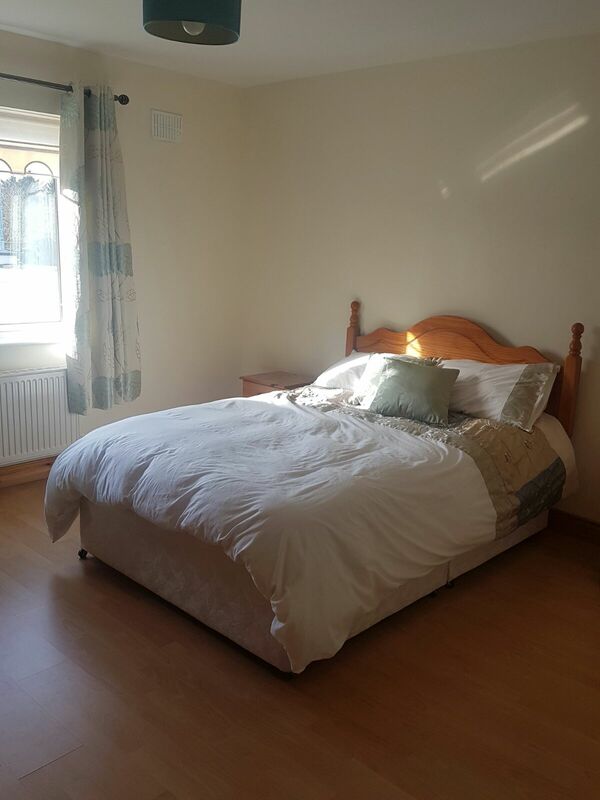 Bedroom 3: (2.96 m x 3.89 m) Timber floor. 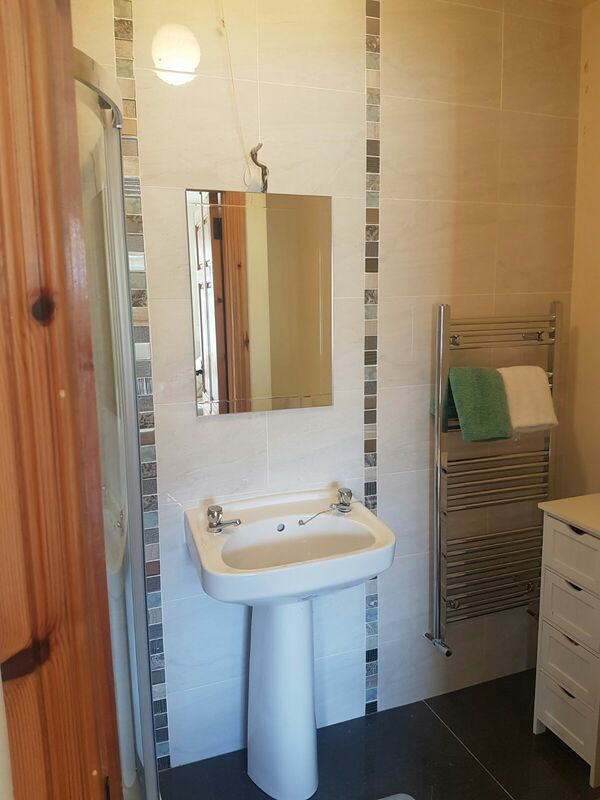 Bathroom & (2.94 m x 2.23 m) Electric Shower, Bath, W.C.
Outside: Lawns to front and rear. 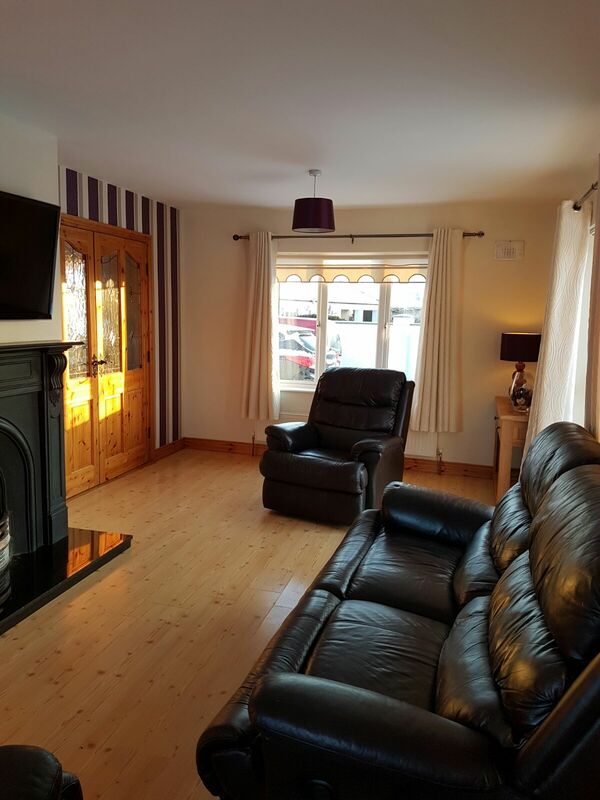 It is in excellent condition throughout and very well presented. 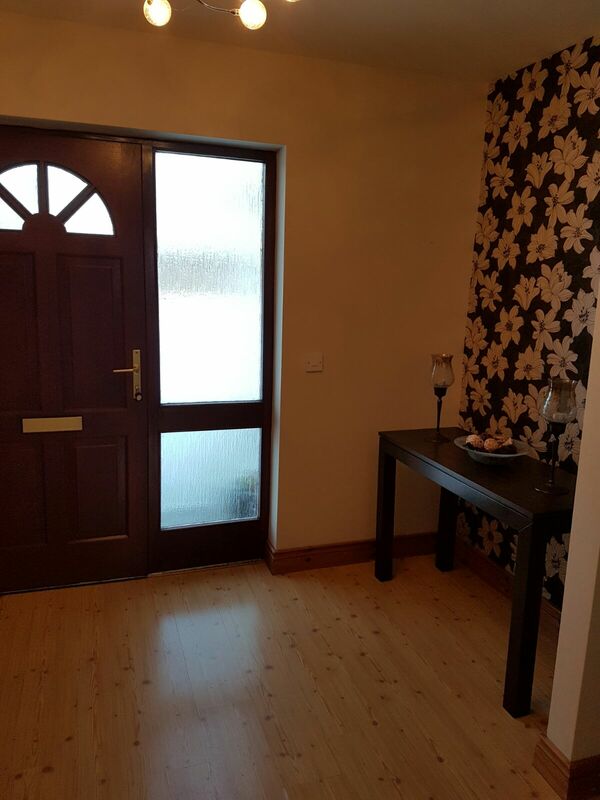 This property is convenient to the Town Centre and we recommend inspection. Joint Agents with Mc Carrick & Sons REA.